Our Team is Fast, Affordable, and Professional! At Szar Bail Bonds, we move through the bail process quickly so that you or your loved one will be released from custody as soon as possible. We will gather all of the necessary information of the defendant. Name, location of jail, bail amount, and alleged charge. 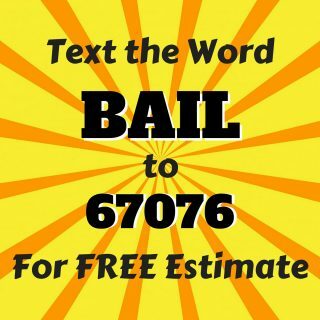 Call Szar Bail Bonds 717-503-1721. Call anytime, 24/7. A bail bond agent will take your information that you’ve gathered together. 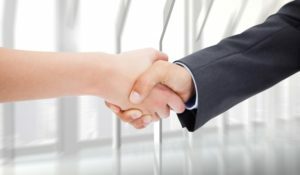 One of our professional agents will meet with you. The Bail Bondsman will answer all of your questions, explain, and sign paperwork. DO NOT Spend Another Minute IN JAIL!! No one wants to wind up in handcuffs and tossed into the backseat of a squad car. Unfortunately, even if you’ve never had legal problems before, it just takes one bad day to wind up in jail. If you have never been through the bail process before, you might not know what to expect, or what your options might remain. When you contact us, we make it all go as simple as possible. Having to get bail for a loved one is a process that no one ever wants to experience. There are so many questions going through your mind. You want to ensure that you are getting them answered in the best way possible. We assist more Pennsylvania residents to avoid more jail time than they must spend, allowing them more freedom to prepare for their upcoming court date. At Szar Bail Bonds, we know that it’s never convenient to look for a local PA bail bonds provider. You likely have lots of questions, as well as are feeling the pressure of dealing with legal troubles. However, we do our best to put you and your loved ones at ease with affordable rates and convenient service. We make navigating through the process of making bail PA residents trust above all other bondsman service providers. When you need help quickly, our team is always ready to assist you with everything that you need, all at lower rates. See why more people choose us as their Dauphin County bail bondsman. Our team strives to remain your top choice in bail bondsman in PA. We continue offering area residents with flexible payment plans and rates you can handle. When you need to spend time with your loved ones, we make it simple to make the most of your days before trial. You may even qualify for bonds that require no down payments and 0% interest rates, depending on your credit and available cosigners. Your best bail bonds PA provider also works with you to create custom repayment plans based on your budget, helping you without fear of falling into debt. When you need to make bail today, you need us as your bondsman team today. Unfortunately, getting arrested is a confusing and frightening process and not affording bail makes it even scarier. However, when you can’t sit around waiting to go to trial, there is a better way. Szar Bail Bonds is prepared to make your situation a little easier. We offer affordable PA bail bonds to more residents throughout the state, allowing you a second chance at preparing for your trial. When others can afford to get out from behind bars, it will enable them the freedom to take care of more items before heading back to court. Contact us to learn more about your best choice for bail bonds in PA. We are here to help you daily with your needs. We work to keep families together. By providing services in more locations, we are able to help more families get through the bail bonds process faster and easier than anyone else. With coverage in a multitude of local counties, we are able to provide professional bail agents, superior resources, and easy payment options. Let us get you or your loved one out of custody now.